So. How are we all surviving post Daylight Saving Time? Yeah, same. I pretty much want to roll out in my PJs every morning to school drop off….BUT I said I’d never do that…haha. Enter, the cute jogger (aka glorified sweatpants). Throw on a denim or moto jacket and some high tops with these, and you’re comfy comfy, yet more presentable-feeling (lip gloss helps, too….and coffee). But I think we can agree that All Joggers Are Not Created Equally, and it takes some searching to find a pair that flatters AND ups the game a little. I went on a search for a great pair for Spring and Summer, and was so happy with the options, Y’all. Apparently, camo is in right now, because most pairs that have a great shape are in camo. But that’s cool…we can roll with that. Let’s check out our options. 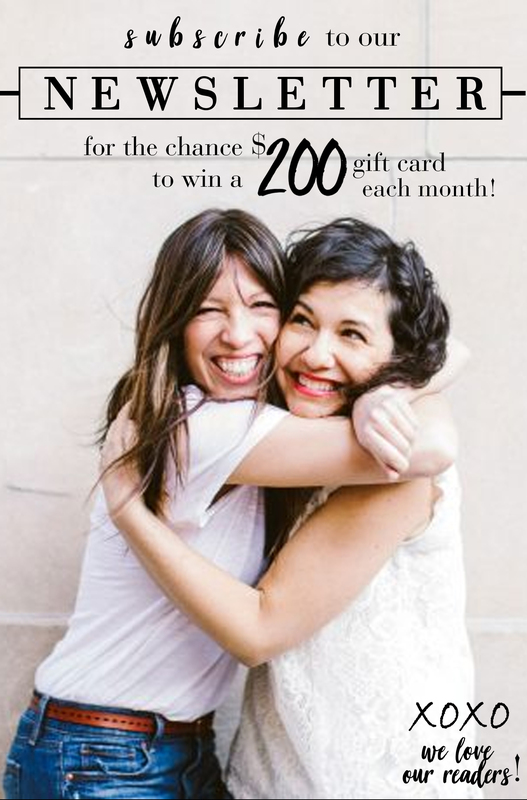 (And petite friends, most of these will work for you, too! 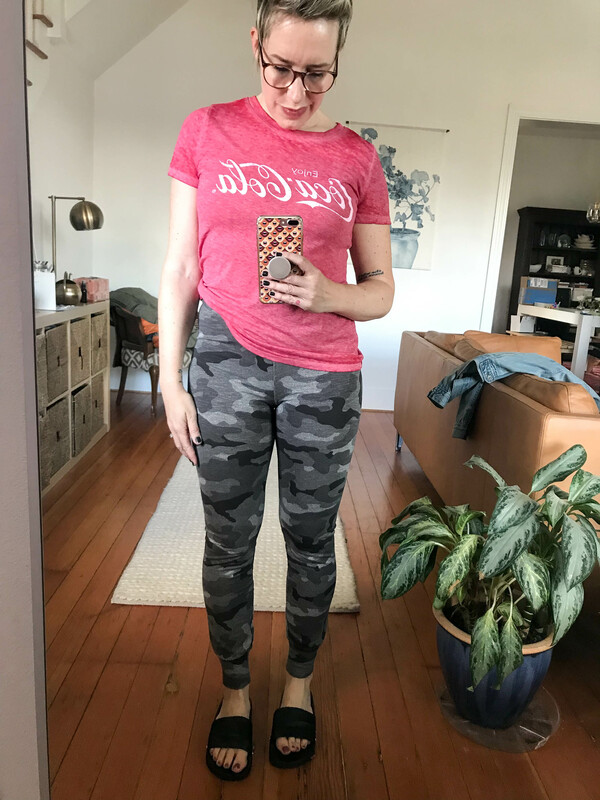 This mama is 5’4″ — I’ve been looking for a little more ‘put-together’ and a little less ‘so-slouchy-I-look-like-I-just-rolled-out-of-bed’, which can happen when sweatpants are too long). 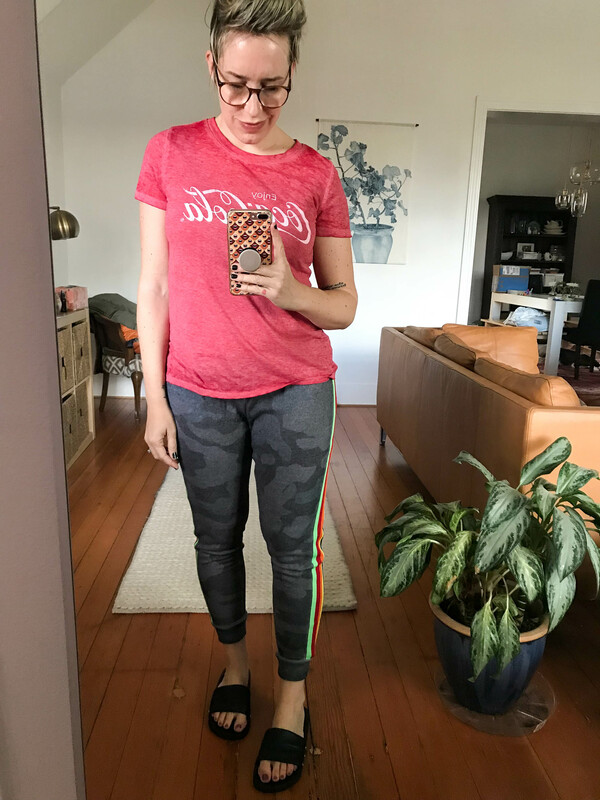 Vintage Havana Rainbow Stripe Camo Jogger – You’re welcome. And, yes, that song has been stuck in my head since I wrote this…All. Morning. Long. These, I love. They’re a thinner fleece, so not too hot or bulky, but not too drapey like the Athleta pair you’ll see. The 26″ inseam is great for me, especially, because I want to be able to wear high-tops with these and not have them bunch up. 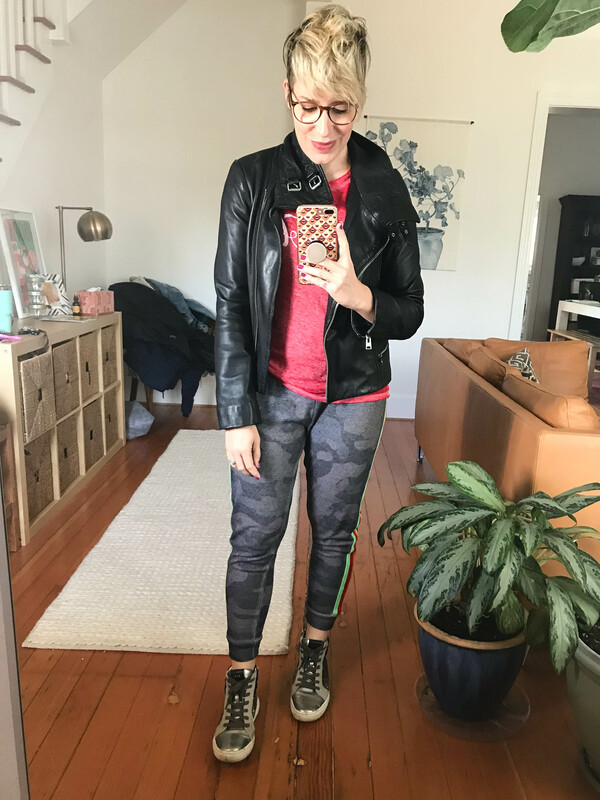 Unfortunately, most of the joggers don’t list the inseam (annoyed face) but if you’re shorter it does help to look for “cropped” or “ankle” in the description. Anyhoo, these are super-cute and love the rainbow stripe. Wearing a Small. Vintage Havana – Sadly, my star print above seems to be all sold out. This is a super-cute star print for Spring, and it looks like the same fit, but honestly it’s hard to tell because they don’t distinguish the various styles by name. These are a more cropped, solid over-dyed pair I really like the look of. 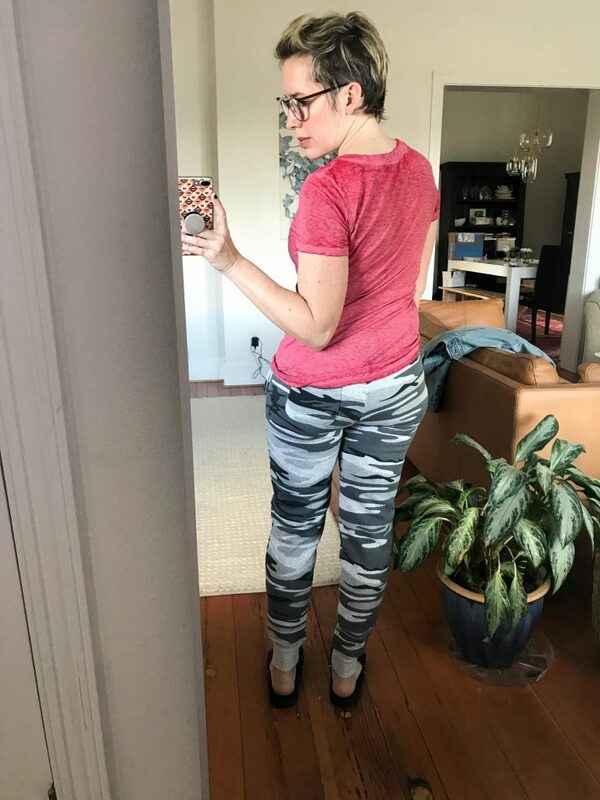 I love this pair above and having been wearing them a lot lately (hence the looking a little stretched out), but after trying all these, I’m not sure if they’re the most flattering of the bunch. Super-cute, and soft and comfy though. 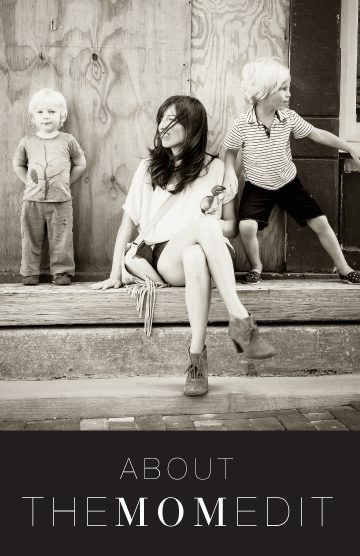 A tiny bit too long in the inseam for me to love them with high-tops, but they’re cute with regular sneaks and sandals. Wearing a Small. Prosperity Denim Camo Jogger – THESE. They are so flattering and cute! In my haste to order good-looking joggers, I didn’t realize these are more of a cotton weave fabric than a sweatpant-type fleece, but they were worth including.They’re super-cute and comfy, for a woven pant especially. They have great stretch but also hold you in. TTS. Wearing a 27. 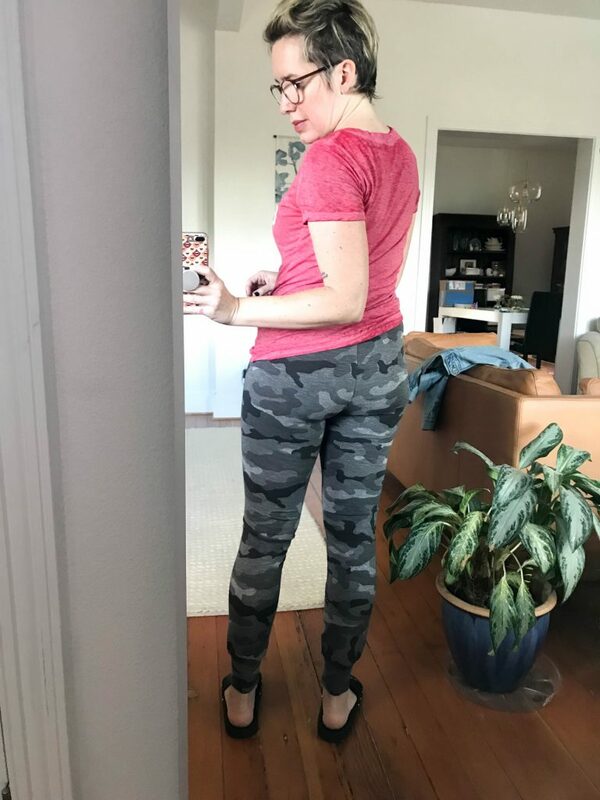 Express Camo Terry Stretch Leggings – Well, again in my haste, I didn’t quite read that these were leggings because of the cute cuff at the ankle. On the site they read more jogger. But gah, these are flattering! I love them. 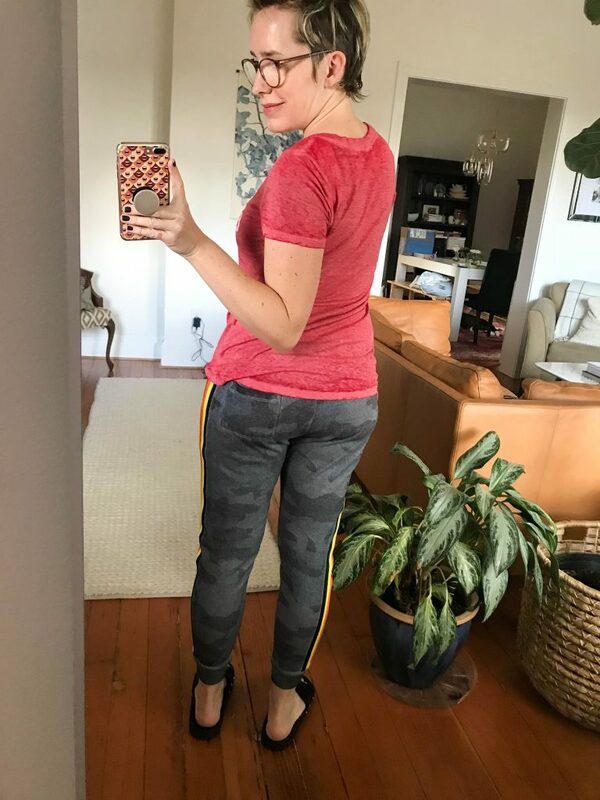 There are no pockets here, but there is a super-soft, high-rise waistband, sturdy-yet-stretchy fabric and a good length. They’re ever so slightly long, but not bad. Wearing a Small. A solid choice if you prefer more of a legging look. Looks like these are quickly selling out. 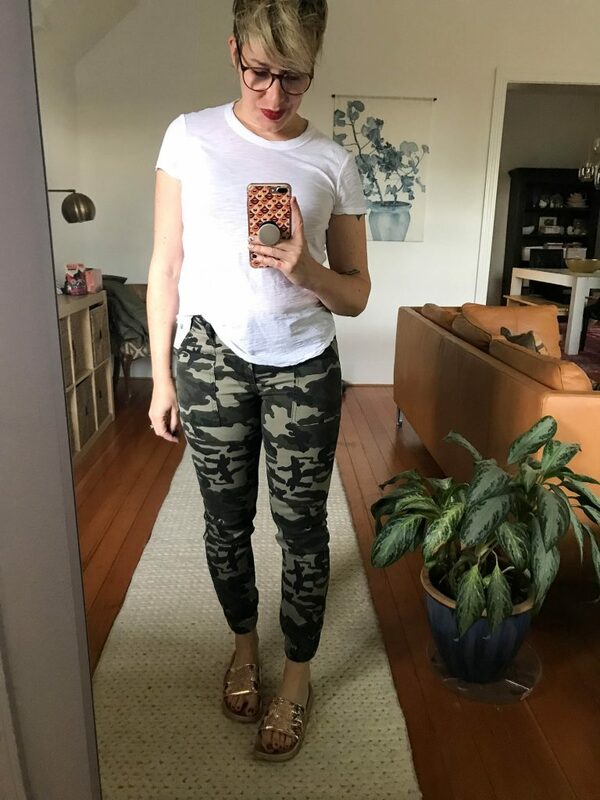 The regular leggings in camo have the same waistband, and are super-cute and well-stocked. These are more like the woven pants above, but look amazing! And they come in a short length, for us shorties. 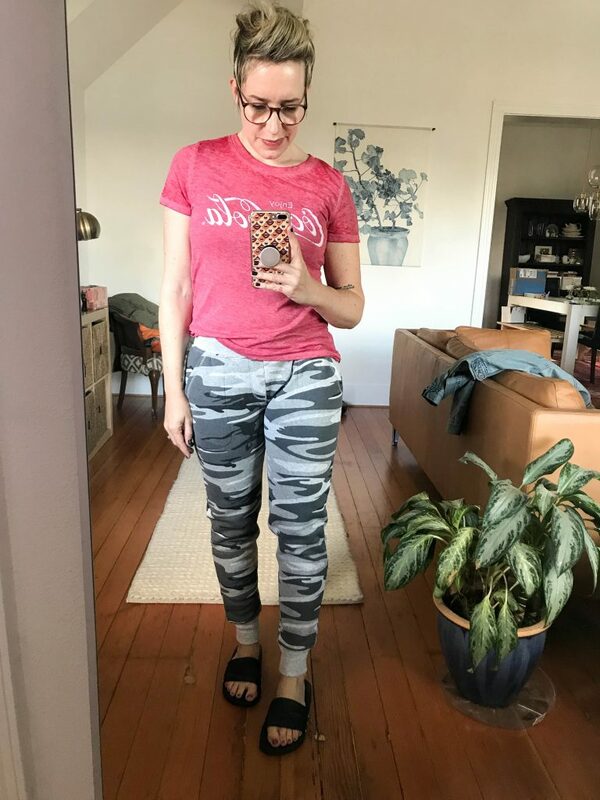 Athleta Bliss Jogger – I’m a pretty big fan of Athleta and I know many of you are, too. But, these are just no. It could be the color, but it’s also the fabric. It’s very thin — I think I’d only be comfortable sleeping in it. It definitely shows every bump. BUT these are actually offered in different lengths: regular, petite and tall. The only pair on here with those options. They do come in a couple of other colors and black might be more forgiving. Wearing Petite Small. 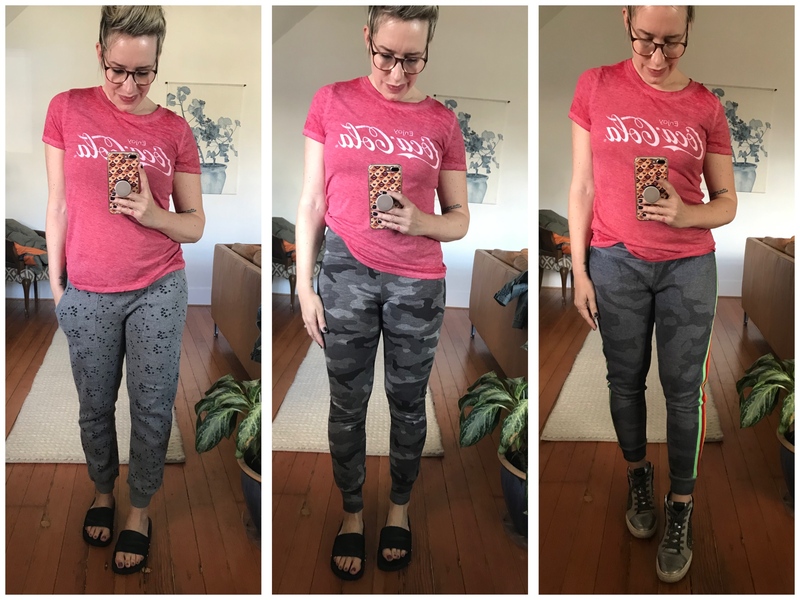 Alternative Camouflage Sweatpants – I love this brand. They have some of the best mid-priced t-shirts out there. 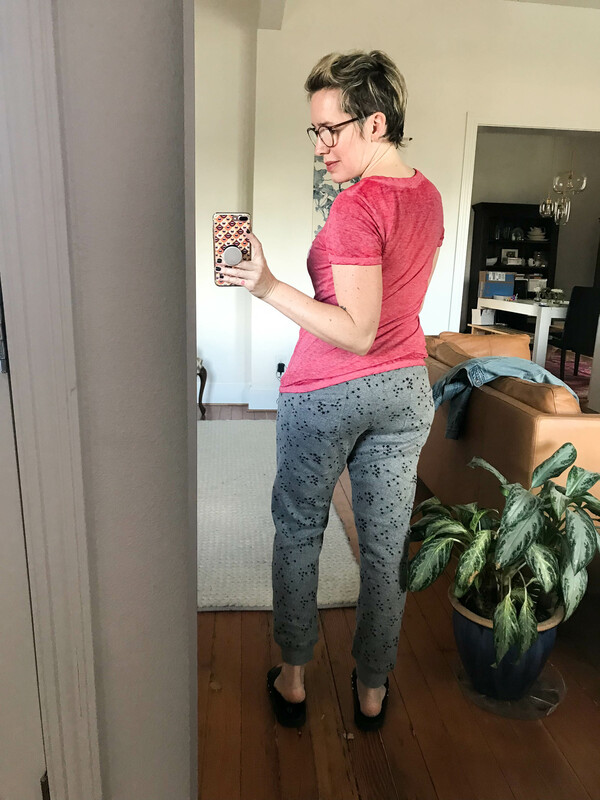 These joggers are super-comfy and pretty cute, but still a little bit long and bunchy on me. If you’re over 5’4″ they’d be great. They do run small. This is the second pair of their joggers I’ve tried, and I’m glad I sized up to a Medium this time. The pockets are a little bulky, and be aware this is the thickest pair I tried, but I love the leg shape on these. Wearing Medium. Et voilà! The structured jacket and high-tops complete the look you can safely get away with for all your momming needs. Date night, no, but school drop off and Target runs? Yes. What are your favorite casual pants for Spring and Summer? I feel like having comfy pants you can wear around the house but get away with outside is a forever goal of mine. I love that there are some cute choices besides solid black or gray, too. 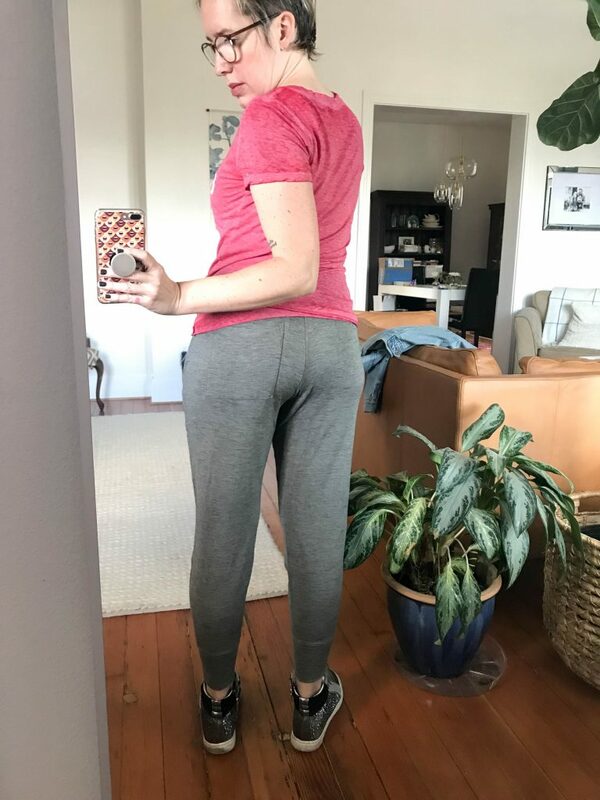 And we’ve all made it long past yoga pants right? Right. A little streetwear-inspired, casual look is always good in my book, in case I need to bust a move at any time, real quick like. If you watch my stories you know that actually happens regularly. I’m just now better prepared with fun, stretchy pants. Ha. Which have you kept and washed? I ask because I have had some recent shrinking drama with my sweats. I’ve kept and washed both of the Vintage Havana pairs and haven’t noticed shrinking issues on those. I hope that’s helpful! I know it’s so annoying to get a pair you love and have them shrink. Sometimes with cotton items that fit me just right I err on the side of caution and lay them flat to dry, like my favorite nice t-shirts and such. 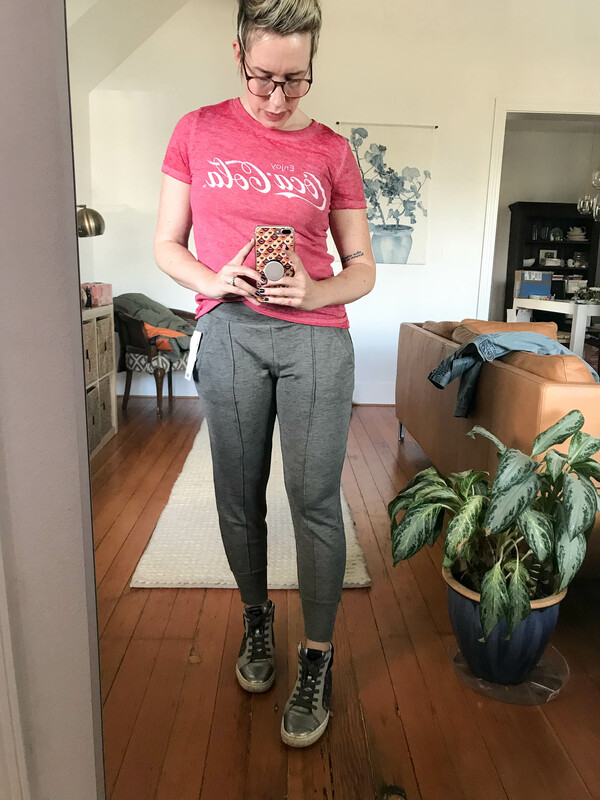 Have you tried the Outdoor voices joggers? They are the softest thing I’ve ever owned! And I sized down so they look less sweatpant-y. Ooh I’ll have to try! I love their leggings! Laura, honest question here because I love your style so much. Do you ever have concerns about whether camo is an…enlightened? feminist? progressive choice? Because I do. 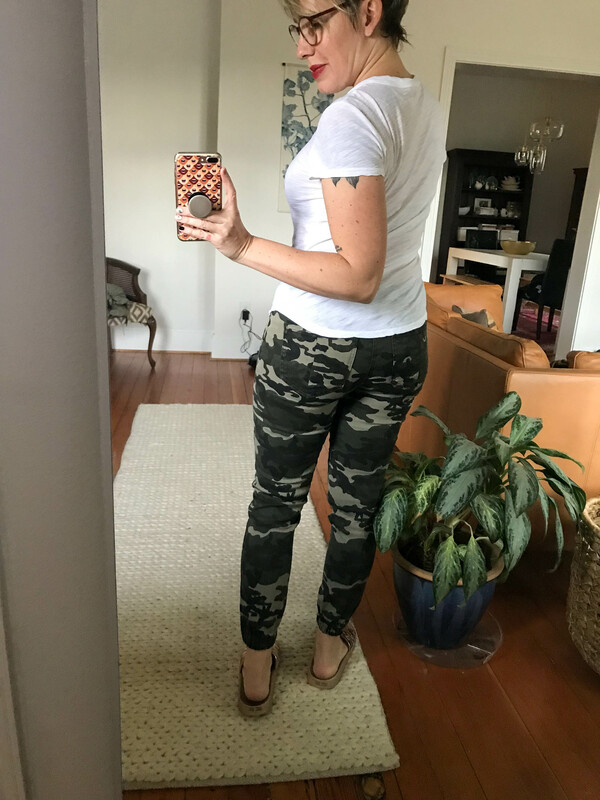 I don’t own any camo, though I keep wanting to get some, because I love the colors (green/olive/brown–all so versatile! Such a nice change from jeans or black!) But then I go back to….this pattern was designed for the military, to hide humans who are trying to take out other humans. Do you think it’s come far enough away from that purpose that it’s a-ok? Like, it’s just a fashion choice, and not a political one? 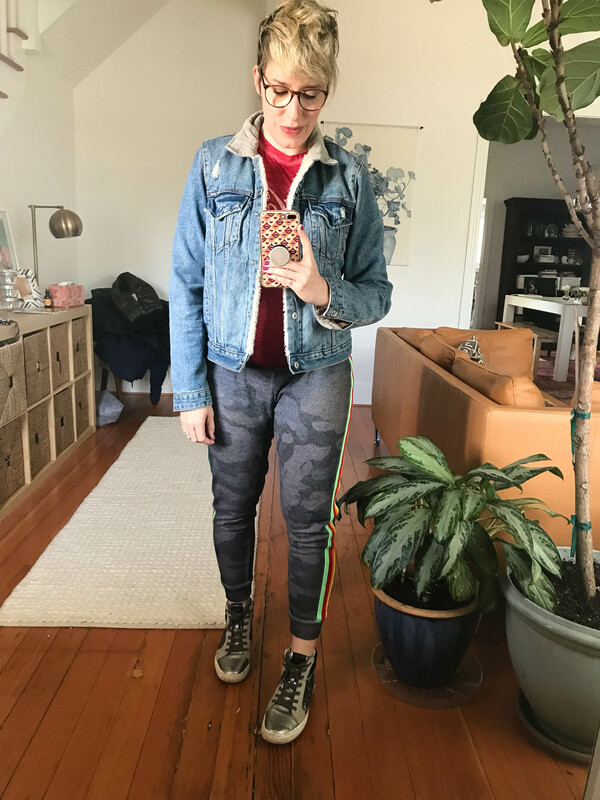 I keep looking for pants with allover olive/green prints that are floral or leafy, as a camo alternative, but haven’t found any! I actually have thought about that, too, but yes. I think it’s been a fashion print now long enough that it doesn’t hold that connotation. I appreciate that most fashion camo is not really realistic, too, so it even strays farther from it’s original intent. I hope that helps! As a graphic designer I think it’s just interesting to have a print versus a solid a lot of times, so I’m solely drawn to it for that reason, too! Thanks for a very well-worded, thoughtful comment! 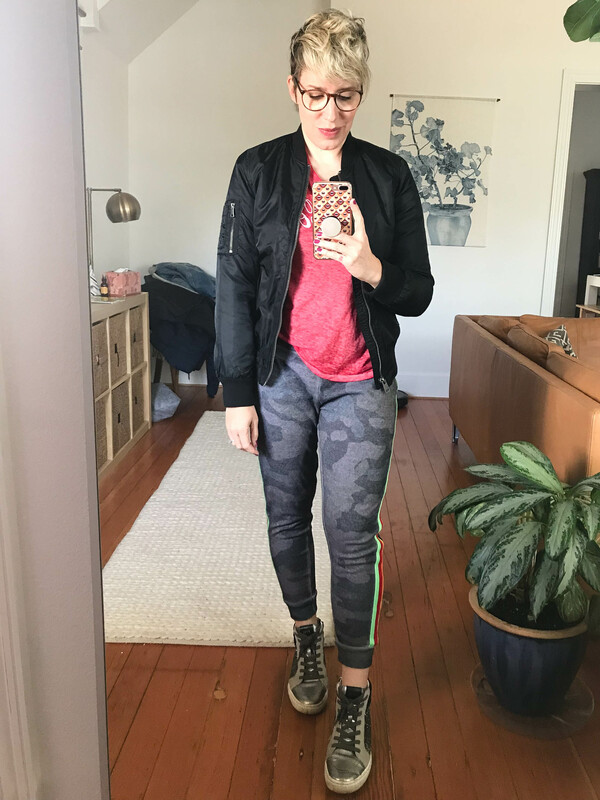 *leaves home office to change into camo joggers in bedroom* Thanks for the inspiration! All of those are really nice options and they look really good on you. I prefer the more fitted , straight, jogger look similar to what you have selected. I have been on the hunt for the perfect pair myself. I have settled on Athleta Trekkie hiking pant? Really helpful post. Thanks! 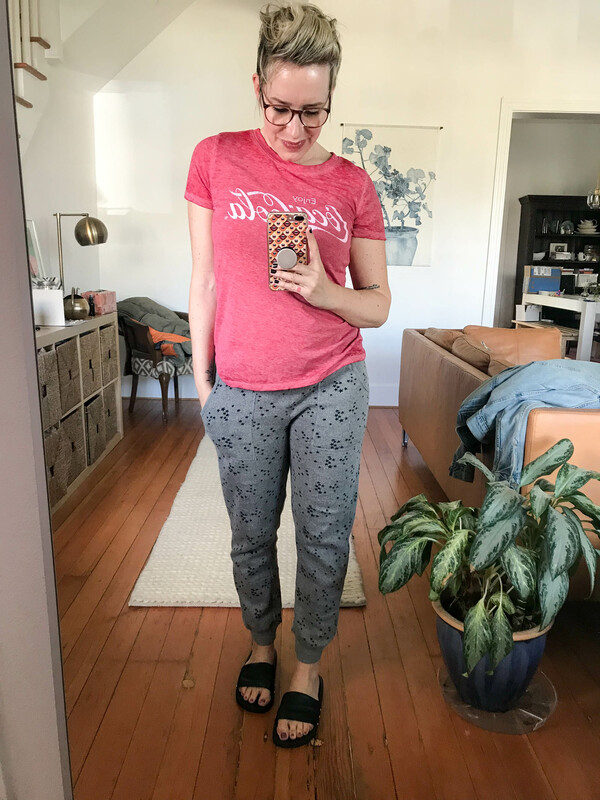 Really like Frank & Eileen Tee Lab full length sweatpant (thick fleece) and relaxed jogger (lighter jersey). Both are cropped at the ankle for me (5’4″) and can be dressed up or down. A little pricey, but they are worn so much that’s it’s worth it.